Researchers at Cambridge University have developed an "artificial pancreas" to regulate blood sugar in people with Type 1 diabetes. A trial in children and teenagers has shown that the device drastically cuts the risk of dangerously low blood sugar. Jeremy Smith was one of the 17 young people with Type 1 diabetes who took part in the study. The overnight trials in hospital showed that the artificial pancreas controlled his blood glucose levels more effectively than ever before. "It was tremendous to be involved in research which could make such a difference to a huge number of people," says Jeremy. He usually controls his diabetes using an insulin pump and this means he does not have to give himself injections. But in order to calculate the correct dose for the pump he still has to check his blood glucose levels several times a day using a finger prick blood test. The artificial pancreas goes one step further by linking the pump to a glucose sensor which calculates the insulin dose for him - effectively taking insulin control out of his hands. Jeremy, who's now an actor, has not let his condition hold him back. 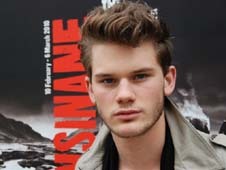 Still just 19, he's about to appear on the London stage in an RSC production, and he's already been in a TV series. "The pump has been really liberating and I'm delighted with it. "But your next blood test and bolus [input of insulin], are always at the back of your mind. "The thought of being able to forget about that - that is a normal life - and would be every diabetics dream." The Juvenile Diabetes Research Foundation who funded the research believe an artificial pancreas would be a major step forward because people will not have to constantly think about their decision. Chief executive Karen Addington said: "They will no longer suffer from hypoglycemia (low blood glucose levels) which can be dramatic, dangerous and truly unpleasant. "And it will improve long term outcomes because people won't run the risk of heart and kidney disease, blindness and the other long term complications linked to Type 1 diabetes." However, an artificial pancreas will take many more years to perfect. In the meantime the JDRF is campaigning for more young people with Type 1 diabetes to have access to insulin pumps which have been available for many years. Ms Addington said the UK had the highest number of children diagnosed with diabetes in Europe and the lowest proportion attaining good diabetes control. Guidance issued by the National Institute for Health and Clinical Excellence (NICE) recommends the use of pumps as a treatment option. Despite that, according to the charity, only around 3% of people with Type 1 diabetes use pumps in the UK, compared to around 9% in France, 15% in Germany and 20% in the US. "It's outrageous that we don't have more access to pumps here in the UK." "We know that using a pump can improve someone's long term blood glucose control and greatly reduce the risks of complications associated with the condition."